How well do you know the village of Calverton? 3. During the years 1883-84, what disease was rampant at the Jonathan Labray School, actually causing the deaths of some pupils? 4. Which eccentric preacher was the most celebrated inhabitant of 21 Main Street? ​5. 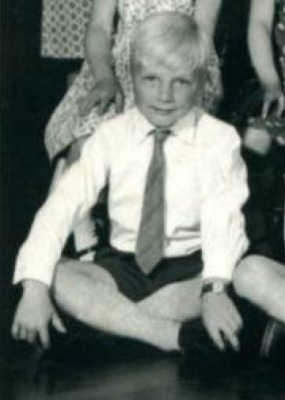 In his days at Sir John Sherbrooke School, who is this? 6. What road in the village shares its name with the place where the TV series 'The little house on the prairie' was set? 7. What was opened by Mrs Betty Lees in the month of August 1988? 8. In St Wilfrids Church Burial yard, what is significant about the gravestone for Margaret Wilkins? 9. West Indian Jimmy Adams, and which villager, still holds the record for the highest 9th wicket partnership, for Nottinghamshire County Cricket Club? 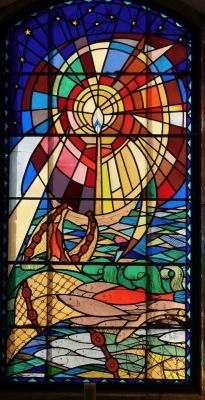 10. Who designed this St Wilfrid Church window? C. Nosy Cleaner Fell O.K. 12. What have 43 Bonner Lane and 111 Collyer Road both got in common? 13. What shop is now on the site formerly occupied by 'Spar' and 'One Stop'? 14. What road in the village got its name by accident after a typing error? 15. 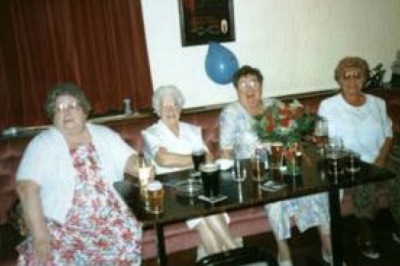 These "revellers" are causing mayhem in which village Public House? 16. Thomas Hoyle held which post from 1956 to 1985? 17. What was the middle name of the famous British General Sir John Sherbrooke? 18. If all the roads in the village were put in alphabetical order, which one would come last? 19. In the past were the "Solitaires"? 20. In which year was Calverton officially twinned with the French village of Longue-Jumelles?